I hit the road early this morning for a trip a few buddies. We had designated the next 2-3 days to film episode 4 of Ice Team TV. 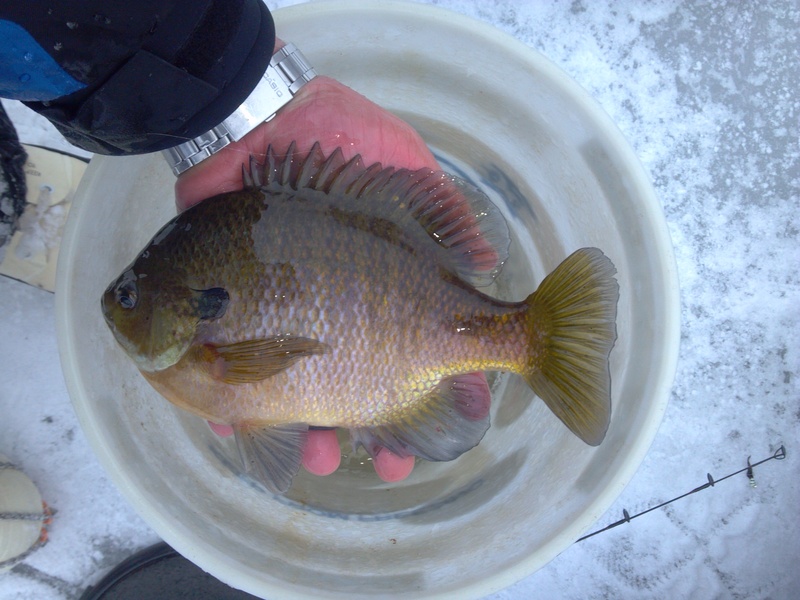 The goal of the trip was to land some nice panfish on camera while also sharing some tips of the trade. The beginning of the day was was filled with shots for the opening scenes and when we got fishing it was close to 7:30. The fishing was steady throughout the day but never really picked up with any good runs. It was a good mix of crappie and bull bluegill throughout the day as well as some nice river perch. As the sun rose higher, the fish slid deeper into the weeds more noticeable than usual. The water was low the entire day but it didn’t change the bite. Although the fish were harder to find they usually bit when located. The magic depth seemed to be 5-6′ in the thickest weeds that were still fishable. Using tungsten was a vital part of catching fish today. In order to punch down through the weeds, you needed the weight to get all the way down. The ice stayed firm throughout the day despite the warm temperatures. Although the day was focused on fishing it was nice to slow things down a bit form the usual running around to converse a bit and learn about how shows are made and all that goes into them. Nice sunfish. Because we only have bluegill up here, I don’t recognize that species.